One of the major challenges the EU is facing today is the academia-industry gap regarding the e-Leadership eskills gained through education and the skills required in today’s highly competitive job market. 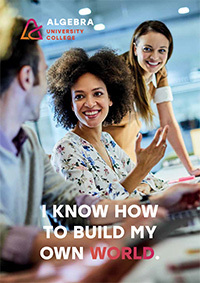 In the EU initiative eSkills for Jobs (2015), the EU has proposed that education should be modeled as to help students acquire both broad and general skills and in-depth knowledge of a specific area. The result is called a T-shaped Portfolio of Skills, where the horizontal line (the “top” of the “T”) represent general skills while the vertical line (the “leg” of the “T”) represents in-depth knowledge. Educational institutions aiming to implement this EU strategy and offer programs with this new portfolio of e-Leadership skills, need to provide students with the horizontal expertise in leading organizations, including managing change, inventing, developing a compelling vision, building and aligning relationships across boundaries, making sense of a situation, and, last but not the least, experimenting. Future e-Leaders should also have a strong vertical expertise in information and communication technologies, both in terms of their function, technological aspects and the product specific knowledge, as well as the knowledge for their implementation in specific sectors. The real challenge, in which this e-leadership program excels, is to provide future e-Leaders with personalized expertise, to make them leading experts in the field they are already familiar with. e-Leaders should be able to make sense of a situation (identify inter dependencies) and be capable to identify risks and synergies out of them. Starting from the Warren Bennis’s idea that Leadership is the capacity to translate vision into reality, T shape Portfolio of Skills puts a strong focus on understanding overall business context in today’s’ digital economy in order to recognize opportunities and create a vision. Courses such as; Critical Thinking & Creativity, Entrepreneurship & Innovation and New Products Management make the most obvious part of this paradigm, while its other elements, although not so visible, are intertwined within other courses and its business cases. In a technology dominated world, the lack of functional and hands-on e-Leadership education is striking, as is the limited offer of targeted programs that support digital transformation, design thinking and lean business development. Algebra University College, Zagreb (Croatia) is among the first educational institutions in Europe that have developed and successfully accredited an e-Leadership MBA program. The e-Leadership MBA Program consists of 17 (+1) modules in duration of 40 contact hours each (total of 720 contact hours), a Business Plan and Master Thesis. Concisely, the Program includes all of the Year One MBA core modules, available in most top quality MBA programs today, and a number of Year Two modules acting as a framework in technology, social media, business intelligence, design thinking and leadership, following key e-Leadership recommendations. The traditional MBA program originated in the early 20th century in the United States responding to growing need to educate general purpose managers, to empower them with a scientific approach to all aspects of their work-routine. One of the first and still most prominent MBA programs today is the one from the Indiana University’s Kelley School of Business, founded in 1920. From then on, the MBA portfolio of skills included: a good knowledge of business operations, an excellent quantitative methodology, a proficiency in human resource management, an understanding of microeconomics and macroeconomics, a comprehension of the legal and ethical aspects of management, the principles of business communication and leadership, a propensity for sustainable development and ethical business practices, and an apprehension of risk management. These skills formed the core of the MBA education in the 20th century. Today’s world readily accepts this legacy and holds it in high regard, but the challenges and opportunities today are much more technological. This is exactly what e-Leadership MBA program offers. It is a strong traditional MBA program taught by renowned US professors from the Indiana University, Kelley School of Business augmented with a hands-on technological component intertwined with design thinking, and the Algebra University College, whose professors have a strong background in both management and ICT and is therefore a natural place for such an interdisciplinary MBA study. From these expertise, the e-Leadership MBA program was born. 1. DID YOU KNOW HOW TEN MOST IMPORTANT TRENDS IN HR DEVELOPMENT ARE SUPPORTED BY MBA PROGRAMS? Out of ten most important trends in HR development recognized by Deloitte’s Global Human Capital Trends 2016, five are developed by e-Leadership MBA program (Organizational design, Leadership, Design Thinking, Digital HE and Analytics) and are rarely supported by most traditional MBA programs. Other five are more traditional and are supported by most of the MBA programs. 2. DID YOU KNOW FORECAST FOR FUTURE DEMAND IN LEADERSHIP SHOWS LACK OF 200.000 e-LEADERS IN EU UNTIL 2020? e-Leadership is a new paradigm proposed by the EU Commission and most prominent business schools in Europe to underpin EU development strategy and its current competitive position in the global economy. Shortages are estimated to reach over 800,000 for digital professionals and 200,000 for e-Leaders by 2020. 3. DID YOU KNOW HOW SPECIFIC MBA PROGRAM SUPORTS TOP COMPETENCES FOR MODERN LEADERS? Top competences required by EU Commission e-Leadership initiative and European businesses are shown in the triangle graphics bellow. All of them are covered by e-Leadership MBA program. 4. DID YOU KNOW DESIGN THINKING CONCEPT CHANGES APPROACH TO, AND SUCCESSFULENSS OF BUSINESS. HOW IS THIS CONCEPT SUPORTED BY SPECIFIC MBA PROGRAM? Design Thinking principle implemented in business to promote creativity and innovation made companies like Apple, Coca-Cola, IBM, Nike, Procter & Gamble and Whirlpool more than 200% more successful than average Standard & Poor’s 500 companies. This contemporary concept is a foundation of e-Leadership MBA program.